In a 2-quart saucepan, melt butter and marshmallows over moderately low heat, stirring constantly. When melted, remove from heat and stir in 1 teaspoon of food color and the vanilla extract. Add more food coloring if desired. Stir in corn flakes. Drop mixture onto wax paper 1 tablespoon at a time. 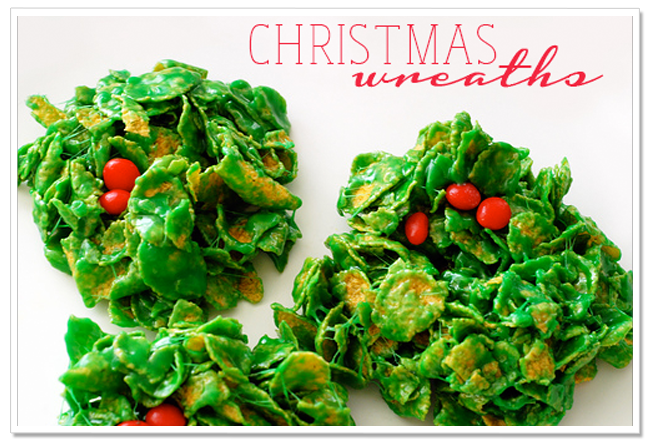 Decorate with red cinnamon candies. Let stand 30 minutes or more until cool. Simple, Easy, and Sugary...the way I like it!